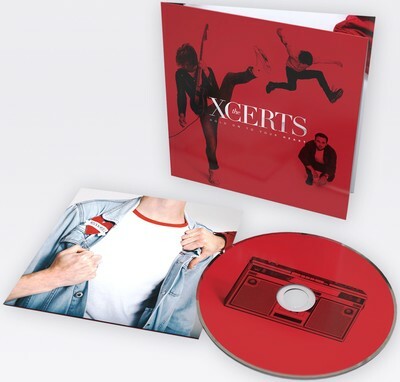 THE XCERTS is rated 4.2 out of 5 by 13. Rated 5 out of 5 by Weegie from Honestly incredible! I saw The Xcerts supporting You Me At Six in Glasgow recently and I’m hooked on their music now! Went to both nights and the lads give their 100% each time, definitely recommend going to see them! Rated 5 out of 5 by Kerri_17 from Best event I have been too in a long time. I went to this event with my sister for her birthday and she's not really the concert type but what a good time we had. Tickets were easy to purchase, website gave good information on refunds etc. Rated 5 out of 5 by CatMcV from Tremendous live band The gig reminded me how much I love this band as I hadn’t seen them live in a while. They have so much heart and the new songs sound great live. Rated 5 out of 5 by suziea from Incredible experience Awesome venue with the best acoustics accompanied by two incredible bands! Insanely good on record and even better live! Rated 4 out of 5 by Lefty from We all kept our vomit down! Quality. Proper band. Lead singer had been chucking up all day, but you couldn't tell at all he was under the weather. Rated 5 out of 5 by Janine_Lewis from Loved every second! Went to see The Xcerts at The Georgian Theatre. I was surprised how lovely the venue was, had an enjoyable time and loved the atmosphere waiting for the concert in the coffee place next door. The staff were particularly nice, im used to venue staff being rude and forceful with the audience at a concert, but they were all polite and chatty. The bands themselves and the sound quality was amazing too, i was really impressed. Couldn't have asked for a better night! Rated 1 out of 5 by CandC from The garage is terrible. I love the xcerts and this review is not a reflection on them, as the boys are lovely and I've been going to see them for years. The review is for the venue, Aberdeens The Garage. Not only were we refused drinks before 10pm, we were also herded out of the venue like sheep even though we were talking to Jordan from the Xcerts, who's actually a friend. Very disappointed with the venue and won't be going back there anytime soon. Rated 5 out of 5 by CKapaun from Amazing gig Fantastic gig and well deserved success for some of the most talented and nicest folks in the business.